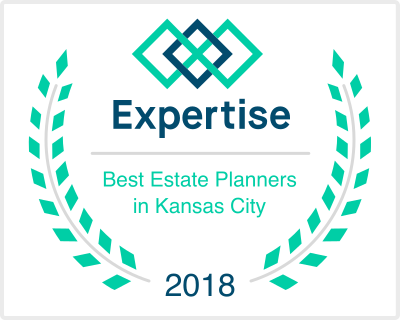 Who Needs Estate Planning Services? trusts, and small business matters. Mr. Dorsch works personally, exclusively and extensively with every client to ensure all concerns, legal issues and matters with their Estate Plans are completely and fully addressed. We do not use any type of "cookie-cutter" forms. Everyone has different plans they want to make, therefore every Trust document is "custom-fitted" for every individual client. We will spend the necessary time with every client to ensure they are totally comfortable and completely understand the very wise decisions they have made. There is always something positive that can be done to improve a client's situation and welfare. This is the firm's commitment to our clients. Mr. Dorsch will personally work exclusively and extensively with every client to ensure all concerns, legal issues and matters with their Estate Plans are completely and fully addressed. We do not use any type of "cookie-cutter" forms in developing one’s Estate Planning documents. Each person has different plans they want to make, thus every Trust document is "custom-fitted" for each and every client. We will spend whatever time is necessary with every client to ensure they are totally comfortable and completely understand the very wise decisions they have made. There is something positive that can always be done to improve the client's situation and welfare. This is the firm's commitment to our clients. threaten the fruits of our labor. At the law office of Daniel Dorsch, we specialize in providing sound legal counsel in all types of Estate Planning services, including Wills, Living Trusts, Durable Power of Attorney, and more. At Dorsch Law Firm, the main focus is to help our clients in the Missouri and Kansas areas plan, prepare, and distribute their possessions according to their wishes in the event of their own or their loved one’s death. Protecting your family’s financial assets, preserving the business you spent years building, ensuring that the home you invested in and wanting to make sure you leave it for your family - these are all important reasons to have a solid Estate Plan in place. Our law firm is committed to helping you protect your assets as well as helping you with putting in place a plan to do this as efficiently as possible. "An individual (or couple) has diligently worked their entire lives in establishing a secure "foundation," and are now seeking the most effective manner to pass along their wealth to others. I exclusively work with each client to ensure their legacy is properly addressed." Dorsch Law Firm specializes in Estate Planning services for Missouri and Kansas. We are focused on helping you distribute your possessions the way you wish. A Will is a great start, but many of the pre-packaged Will kits don't cover the full depth of estate planning. You’ve worked hard for your money and you care about getting your affairs in order for yourself and your family. "Dan Dorsch provided estate planning services for us because we want to ensure our family is provided for as WE intend, not the courts or other third parties. Dan’s professionalism, friendly demeanor and attention to detail was reassuring while addressing this subject matter. He made things understandable and professional. I strongly recommend him to anyone needing estate planning services at a fair price." "For the past 15 years, we have retained Dan Dorsch as legal counsel for all our legal and estate planning issues. Dan’s professional knowledge and expertise are second only to his personal perception of morality, understanding, and individual caring for his clients. I recommend Dan without reservation and believe him to be the finest the legal profession has to offer." At the Dorsch Law Firm, we have extensive experience in helping you build your business and in planning for the care of your loved ones should you not be around to provide for them. Selecting a lawyer can be a difficult and confusing task, however, our commitment to personal service, prompt client communication, and thorough representation has allowed us to develop client relationships that span many years. We understand estate planning can be an overwhelming and intimidating process. We are here to help; our focus is on making what can be a very complex process, as simple and straightforward as possible for our clients. We will help you legally determine how your assets should best be managed during your lifetime and show you how to distribute them after your death so that your wishes are carried out. Our office will also adjust your estate plan so that taxes are minimized and court costs and interference are eliminated. We will also help you create a legally binding document that ensures that you have control of your finances, taxes, and medical plans in the way that fits your needs. Our goal is to make this process easy to understand so that you can make the decisions that matter most to you. We will help you to know the difference between wills and trusts, the various types of these, and the benefits of each, as well as other important aspects of the estate planning process. The Dorsch Law Firm "Cap Fee"
Once a client makes a decision to secure a Trust - and the various ancillary documents - they may call me as much as they feel is necessary to fully discuss any potential issue or concern they may have with their Estate Plan, and I will not turn around and bill them for my time to resolve their question(s). In other words, the fee I charge clients to develop a Trust is a “cap fee.” I want clients to be totally open and comfortable with every aspect of the Estate Planning process. Potential clients can come to our office, or we can visit them at their residence or other convenient location. We also meet with potential clients in the evening or on Saturday.